As we develop the site we’ll be reviewing places, products and organisations that we encounter as part of our adventures and making recommendations where we think they’re warranted. 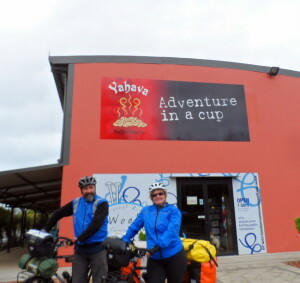 As part of our 2013-2014 Cycling Tour across Australia we’ve reviewed many of the Websites we used to plan and complete the journey and recommended our favourite bike bits and products we used. Recently I wrote about our Top Ten Travel Items for any Trip and added a Resources and Handy Links page that will help you plan all aspects of your next trip. Also check out our growing list of Blogs that we love. Our favourites in Cycle Touring, Travel and Personal Growth can be found here.